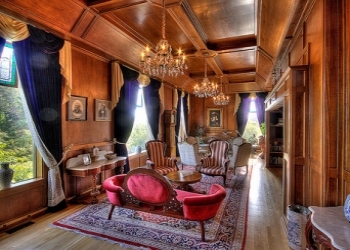 Manresa Castle in Port Townsend is the Seattle and the Puget Sounds gem for both dining, catering and hosting for your next event. The beautiful Manresa Castle and the surrounding grounds are an elegant storybook setting for weddings, receptions, social events including, concerts, and corporate events. 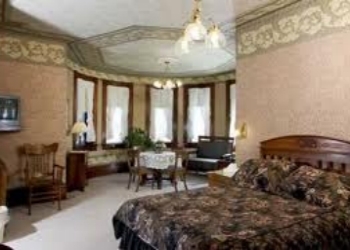 To inquire about our packages and amenities, please email info@manresacastle.com or phone the front desk 360-385-5750. Manresa Castle's romantic gardens, banquet hall and rich library have seen many couples exchange their vows. You will experience one-of-a-kind ceremony and reception venues for events both large and small. With so many indoor and outdoor settings for your event, any season is a good time to get married at Manresa Castle. The library is elegantly draped windows and rich wood paneled walls can be transformed to a variety of intimate configurations. The Banquet Room can accommodate 80 guests at a sit-down dinner and dancing reception. Other rooms can be appropriated to handle larger groups. Our staff is ready to share their expertise with you to ensure that your wedding day or event is truly memorable. From assisting you to select a menu, linens and settings to locating the right vendors and finishing touches, our friendly and knowledgeable staff is ready to answer your questions and make your experience as seamless and special as possible. The Castle was completed in 1892 as the home of Charles and Kate Eisenbeis. Mr. Eisenbeis was a prominent member of the early Port Townsend business community. His business interests were diverse including a bakery, brick works, lumber mill, brewery, bank and a hotel. In 1878, when Port Townsend became the first incorporated city in Jefferson County, its citizens elected Eisenbeis as the first mayor. 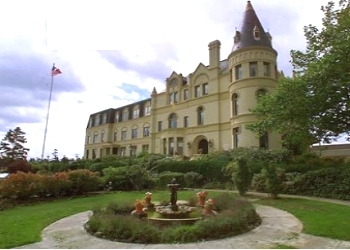 In keeping with his status in the community, Eisenbeis built what was the largest private residence ever built in Port Townsend, consisting of 30 rooms. Locals referred to the building as the "Eisenbeis Castle;" its design was reminiscent of some of the castles in Eisenbeis' native Prussia. The walls were 12 inches thick, made with bricks from Eisenbeis' own brick work's and the roof was slate. Tiled fireplaces and finely crafted woodwork were installed by German artisans. In 1925, a Seattle attorney bought the Castle as a vacation place for nuns teaching in Seattle schools. This plan did not work out well and in 1927 the Jesuit priests purchased the building for use as a training college. The priests spent their sixteenth and final year of training here studying ascetic theology. In 1928, the Jesuits added a large wing housing a chapel and sleeping rooms. They also installed the elevator (an Otis) at a cost of $3,400 -- a substantial sum in those days. When their addition was complete, the Jesuits stuccoed over the bricks of the original portion to give the building a more uniform look. They named the complex "Manresa Hall" after the town in Spain where Ignatius Loyola founded the order. The Jesuits left in 1968 and the building was converted into a hotel. The elements "Manresa" and "Castle" were taken from the two previous owners to create the current name. The three different owners since 1968 have all done their part to lovingly renovate the building to modern standards while maintaining its Victorian elegance. For example, there were only 3 bathrooms when the Jesuits left - today we have 43. Reports are that rooms 302, 304 & 306 are haunted. There are reports of two ghosts in residence. One is about a monk who hung himself in the attic. Sometimes people hear footsteps walking above them, but there is no one in the attic. The other ghost is a young lady who had been waiting for her beloved to return from war. After hearing of his demise, she threw herself out her window. Also, In the chapel/cafe drinking glasses are know to explode, even when in one server's hand, & sometimes the empty glasses are know to be turned upside-down.